The design team at The Pottery Patch continues to travel the world to find and the best sources for their imported pottery. Each hand-picked location uses different varieties of clay and materials which dictate the colors and techniques used to make the pottery. 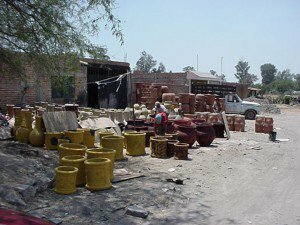 The designers work closely with every supplier to improve designs and create new trends in the imported pottery industry. Vietnam -The clay in Vietnam is heavy, thick and strong. 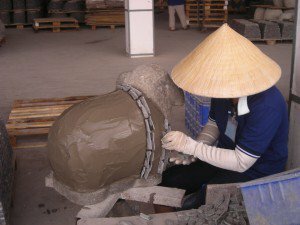 Imports from Vietnam include our Black Clay pottery, Slate pottery and animals, Fiber Stone pots and other durable outdoor pots in neutral and natural colors. 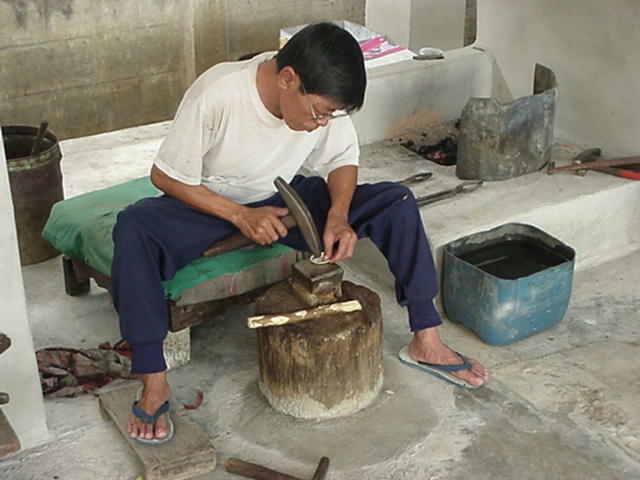 Malaysia – Because of the high cost of labor, Malaysian pottery is made mostly by machine which makes it possible to produce large volumes of pottery quickly. The carvings found on many of the pots from this region are done by hand and the type of clay allows for a good range of colored glazes. China – China has one of the lightest varieties of clay which allows for beautiful, vibrant colors and blended glazes. Many incredible combinations of colors have emerged from China. The clay is durable yet much lighter weight than clays found in Vietnam. 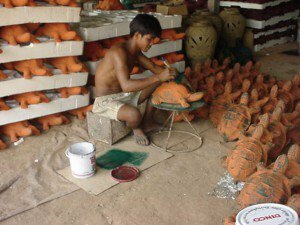 Thailand – The pottery in Thailand is handmade from clay that is slightly less durable than others found in Asia. For this reason, much of the pottery is small and intricate, best used indoors as decor pieces. ITALY – Italian Terra Cotta is imported pottery from the Tuscany region. The classic red clay has been used in the area for centuries. The Pottery Patch imports two types of pottery from Italy, machine made which is thinner walled, lightweight and inexpensive, and larger hand-packed pots which are more expensive and take longer to produce, but are very high quality and durable. MEXICO – The huge variety of pottery imported from Mexico has a unique handcrafted look. They are original designs made by Mexican artisans who have great imaginations and are skilled in hand painted pottery with a artsy, rustic style.